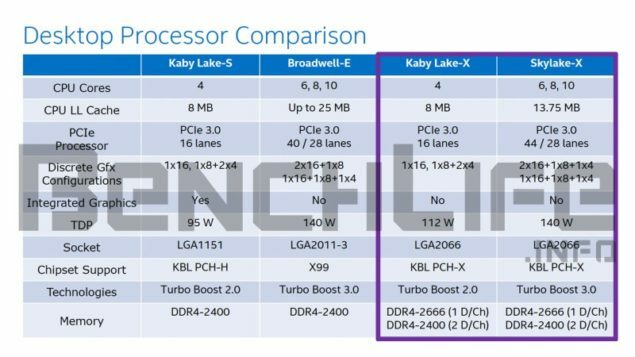 Latest details surrounding the launch of Intel’s next generation Skylake-X and Kaby Lake-X processors have been leaked out by Benchlife. The site has posted new slides which clears up the confusion surrounding the launch of the new processors. The Skylake-X and Kaby Lake-X family of processors will be based on different architectures but will be featured on the same platform simultaneously which is really interesting. Intel’s Skylake-X and Kaby Lake-X will launch in late 2017 and offer enthusiasts a ton of performance. In our previous post, we suggested that the Skylake-X and Kaby Lake-X will be different families for different platforms. 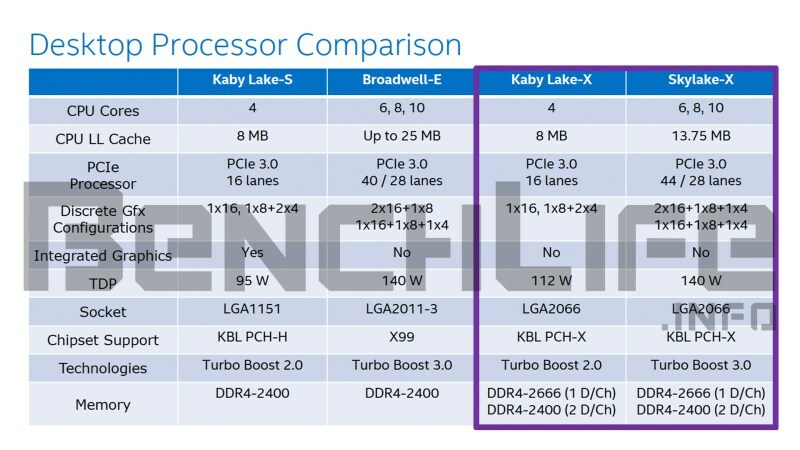 While both families are completely different since they use a different architecture, it looks like the new X-Series processors will be supported by a completely new platform which is powered off by the Kaby Lake PCH (Platform Control Hub). This platform will be known as Basin Falls-X which is the codename for the platform supporting both the Kaby Lake-X and Skylake-X family of processors. 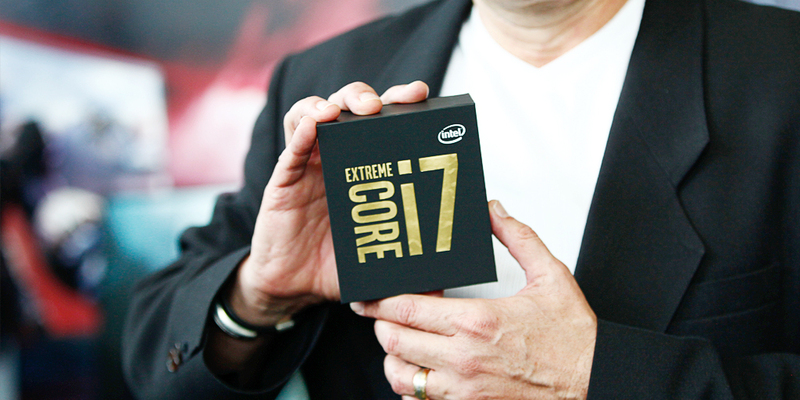 The Basin Falls-X platform will support the fastest Core i7 processors that will be launched next year. The Basin Falls-X platform features the new Socket R4 (LGA 2066). LGA 2066 is made up of 2066 pins which means that current CPUs will not be compatible with the platform. Within the Sky Lake-X family, we will be getting 6 core, 8 core and 10 core SKUs with TDPs rated at 140W. These chips will have 44 PCI-E Gen 3.0 lanes. Kaby Lake-X on the other hand will come with 4 core chips which means we are looking at only Core i7 and probably Core i5 models. The surprising thing here is that the Kaby Lake-X SKUs will feature a 112W TDP on a 14nm node. This means that we might be looking at much higher clock speeds compared to current generation quad core models. 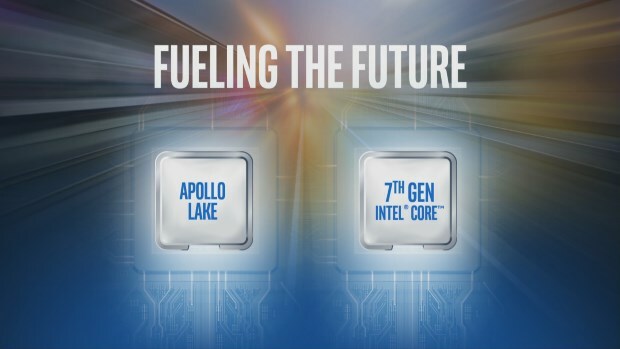 In fact, the Kaby Lake family uses a more optimized architecture compared to Skylake which will allow Intel to finer tune its performance for better performance and efficiency. The Kaby Lake-X series of processors feature up to 16 PCI-E Gen 3.0 lanes. 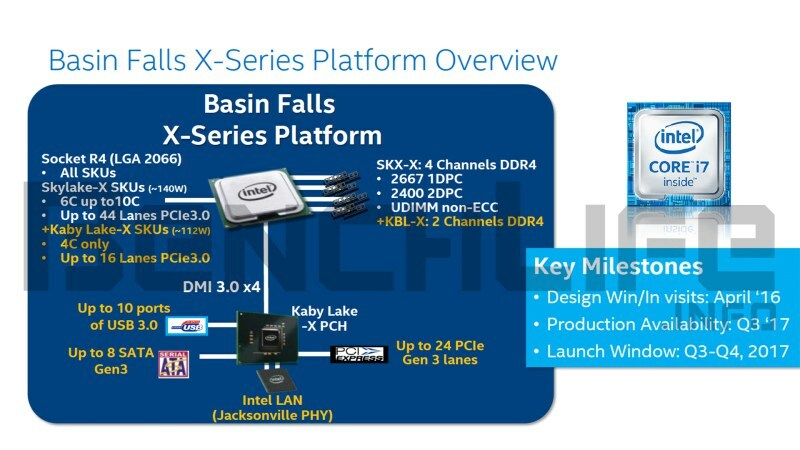 Some other details about the Basin Falls-X platform includes quad channel memory support on Skylake-X and dual channel memory support on Kaby Lake-X processors. Speeds as high as 2667 MHz are supported by these chips. The Kaby Lake-X PCH itself offers 24 PCI-E Gen 3.0 lanes along with 10 USB 3.0, 8 USB 2.0 ports and Intel LAN (Jacksonville PHY) chipset. More information on Basin Falls-X suggests that it will last the market up till 2020. Intel will not only offer their Skylake-X family on this platform but also Kaby Lake-X (10 Core+) and Cannonlake-X processors later. It will be replaced by a new socket LGA 2076 platform in 2020 which will probably be Ice Lake-X. Both Kaby Lake-X and Skylake-X are different to one another but we have seen Intel introduce new processor families on existing platforms. Their HEDT lineup is now most notable for this trend which gets 2 or 3 families for the same platform / socket. As far as the launch is concerned, Intel is suggesting that both processor series will launch in either Q3 or Q4 2017. This means that the processors have been pushed back from their previous Q2 2017 launch. Intel still has their Kaby Lake-S family of unlocked processors lineup up for launch on the 200-series platform later this year which will replace the Skylake-S processors such as Core i7-6700K and Core i5-6600K. Which upcoming Intel platform are you most interested in?